Originally published in 1859, this scarce early work on Wildfowling in all its various forms, is both expensive and hard to find in any edition. We have now republished the third and best edition of 1875, using the original text and engravings. 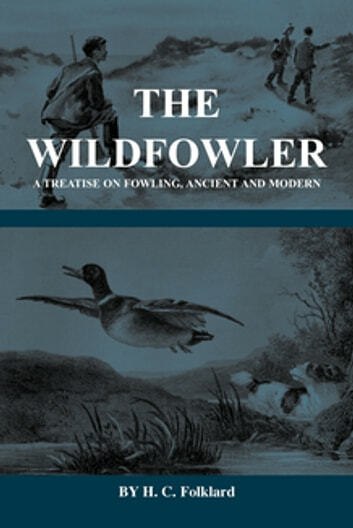 The author was an acknowledged expert in the art of wildfowling, and this book is probably the best researched and most descriptive early title on this increasingly popular field sport. It ranks among the highest class of sporting literature. The book's substantial four hundred and thirty six pages contain numerous comprehensive chapters, including: Fowling; Ancient Methods; History of Decoys (nine chapters); Decoy Ducks; The Flight Pond; Wild Fowl Shooting; The Fowler's Dog; Language of Wild Fowl; Flight of Wild Fowl; The Gunning Punt; Punt Guns; Management of the Punt Gun; Punting by Daylight; The Sailing Punt; Night Punting; Goose Shooting; The Quarry (20 detailed chapters); Wild Swan Shooting; Shooting Yachts, Boats and Canoes; The Cripple Chase; Wild Duck Shooting; Coastal Shooting; Fenland Shooting; Methods of Capturing Woodcock; Laws Affecting Wild Fowl; Fowling Abroad (11 chapters); Rock Fowling in The Shetlands, Orkney and St. Kilda; Wildfowling Ashore by Night; Snipe and Woodcock Shooting; Etc, etc. The contents are nicely illustrated with full page steel engravings and several wood-cuts. This is a fascinating read for any dedicated shooting man, fowler, or historian of the sport, but also contains much information that is still useful and practical today.